ST. PETERSBURG – The theme of 2018’s Legacy Week is “Beautiful and Strong” and this year’s Legacy Award recipients embody both qualities in spades. 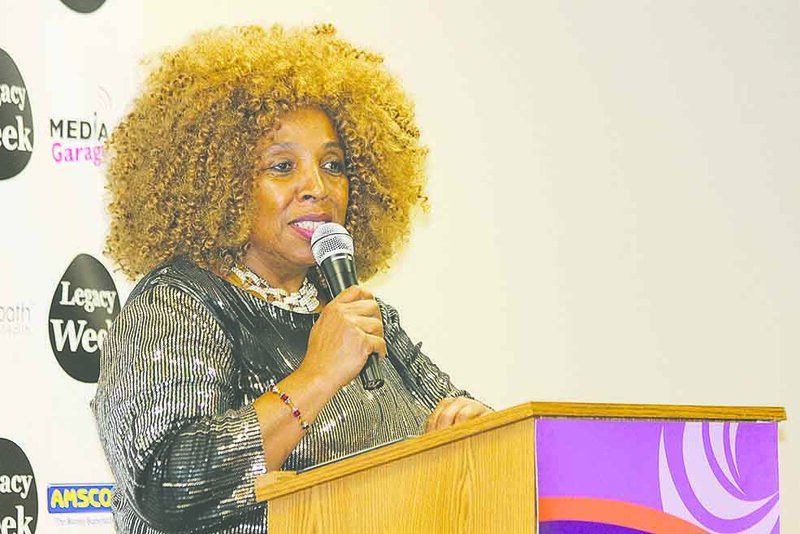 “We are here to honor women, women that are strong and beautiful not because of what they wear or the labels they have on their clothing, but because of their hearts for their community,” said Mistress of Ceremony and Legacy Week committee member Karen Davis-Pritchett. 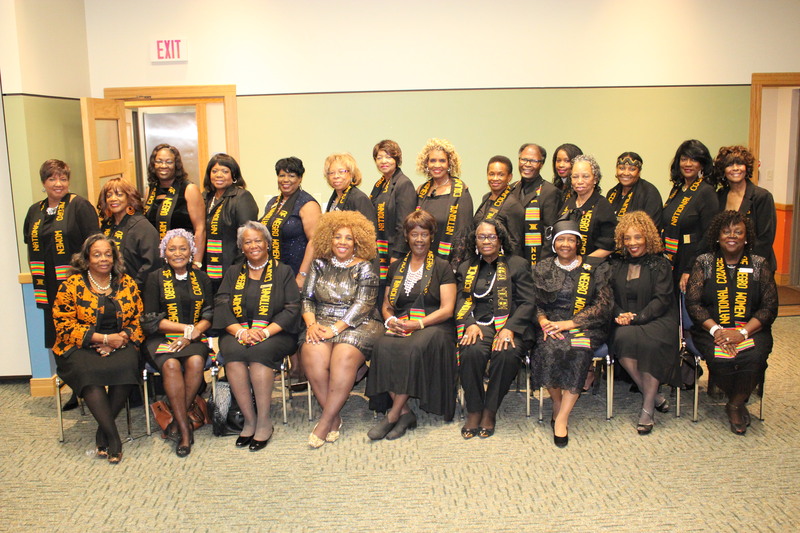 This year’s award ceremony was anchored on keynote speaker Dr. Evelyn Bethune, granddaughter of Dr. Mary McLeod Bethune and CEO of The Bethune Publishing House, Inc. She is also the founder of the MMB Institute, a mentoring and instructional foundation for young people of all ages. As for today’s young people, Bethune noted that she makes time to talk to them and encourages them to look things up and discover all about the world around them. She added that she tries to “bounce” between their world and hers, and tries to keep them anchored. Regarding upcoming elections, Bethune encouraged people to use the power of their vote to unseat politicians that have not delivered on promises. So for her to even be able to purchase a piece of property in Daytona Beach was “absolutely the hand of God,” Bethune said, adding that her grandmother had to pay $250 over because she didn’t have that kind of money. McLeod Bethune told that story of her vision over and over again, Bethune said, and now sitting on that garbage dump is a university with over 4,000 students and one of the largest employers in Volusia County. 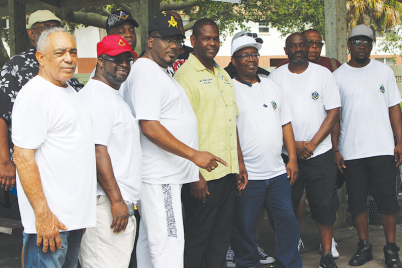 Bethune extolled the close relationship and support Bethune-Cookman University and Florida A & M University has for one another. 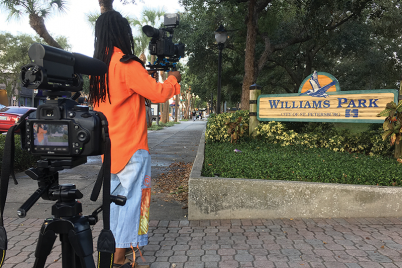 Her time at Bethune-Cookman helped prepare her for her time at the University of Florida, she said, as the large state university was still under court order to integrate even in 1992. Of the 36,000 students attending UF at the time, fewer than three percent were minorities of any kind. Bethune encouraged open conversations and roundtable discussions about troubling topics and asserted that her grandmother didn’t do things undercover or by the back door. Bethune also encouraged the white populace to “speak up,” and not sit in silence in the face of foolishness. Dr. Tonjua Williams, president of St. Petersburg College, received this year’s Legacy Award for Education. Deveron Gibbons, who sits on the Board of Trustees at SPC introduced her and revealed that she was once his babysitter. “I have a few stories but I’m not going to tell them,” he said to a room full of laughter. 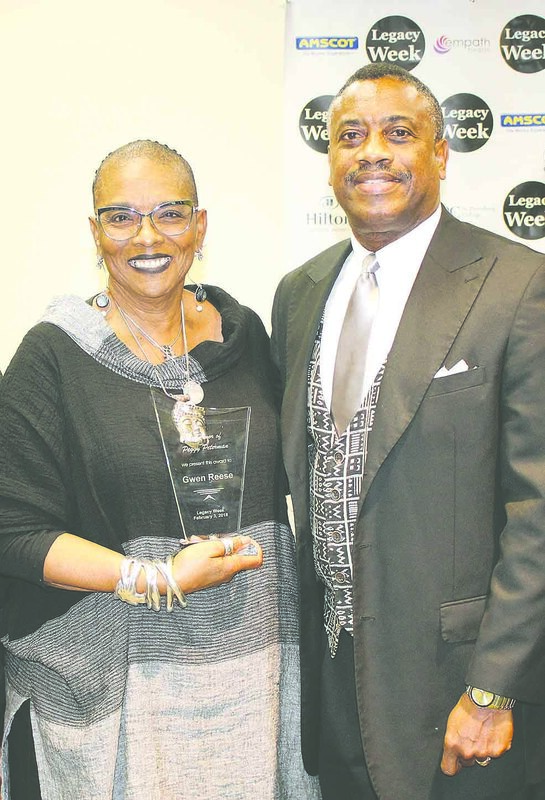 Lounell C. Britt, executive director of the James B. Sanderlin Center, received the Legacy Pioneer Award for taking the reins and helping create continual, strategic resources in the heart of the black community that could empower families and help those in need. “I’m a product of this community and of great women of this community…and many of the folk who lived on Fifth Avenue South and raised folk like me who understand what my mission in life was to be, how to behave and what was waiting for you if you didn’t behave,” said Britt, who went on to explain exactly what was waiting for her if she didn’t obey the rules. “I am not particularly political. I consider myself a pragmatic purveyor of possibility,” said Deputy Mayor Dr. Kanika Tomalin as she was presented with the Legacy Award for Public Service. 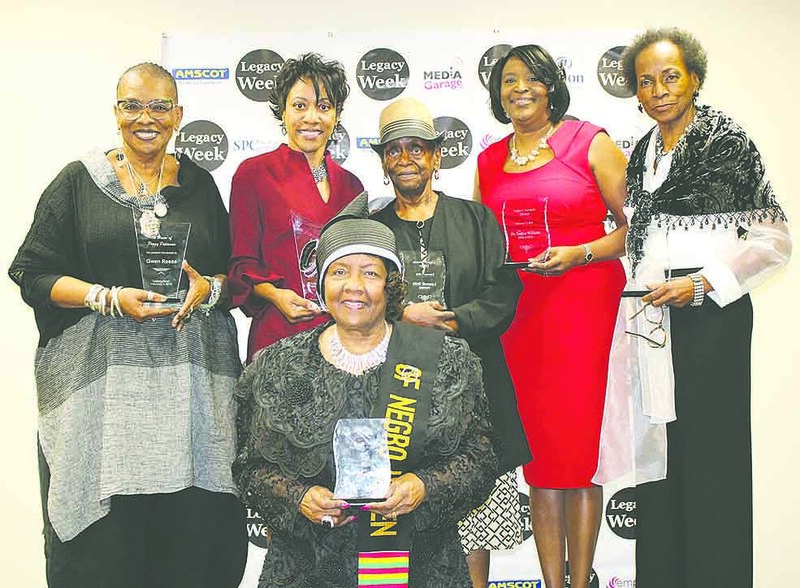 Carolyn Brayboy was recognized for being a businesswoman and entrepreneur and received the Legacy Award for Business. She and her husband, Elihu, are credited with sparking the revitalization of the 22nd Street Corridor. Taking Isaiah 61:4 to heart, she said her mission when they “started on 22nd was to rebuild, restore and renew. I felt that was the Holy Spirit that was directed from God,” Brayboy said. Each year the Legacy Awards recipients are lured to the banquet under false pretenses and surprised when their names are called. With such high rollers this year, they had to inform honorees to ensure that they would attend. 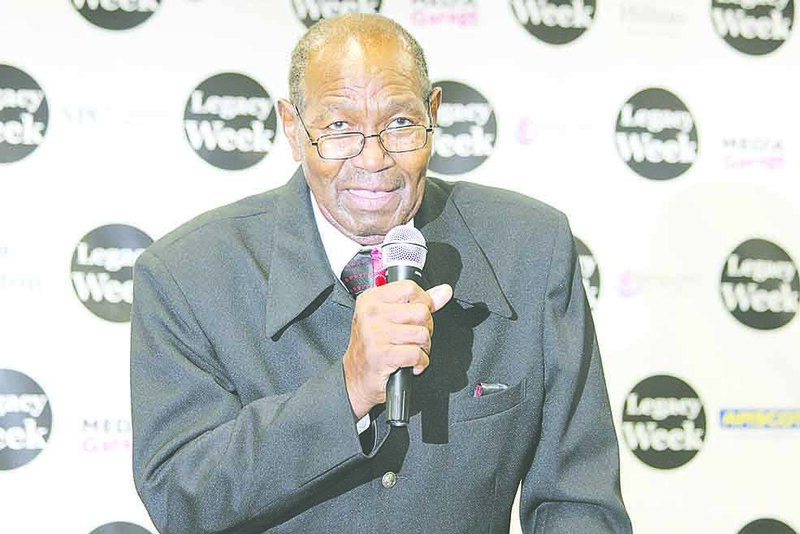 However, Legacy Week, Inc. President Rev. J.C. Pritchett managed to sneak a few surprises in. Since late last year, Reese has researched and written a column on local African-American history for The Weekly Challenger newspaper. Comedian and Pastor Rev. 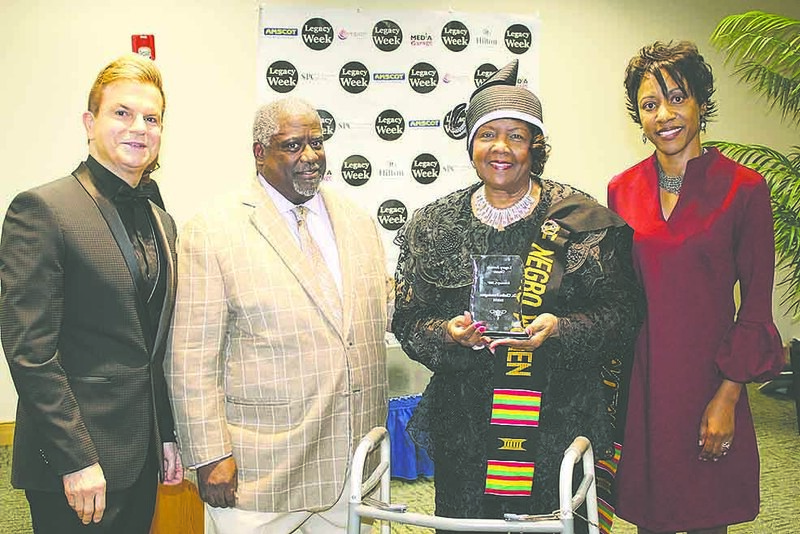 Wayne Thompson reflected on Bishop Dr. Clarice H. Pennington of the Christian Generation Center of H.O.P.E Church before surprising her with the Contributions to the Faith Community Award. 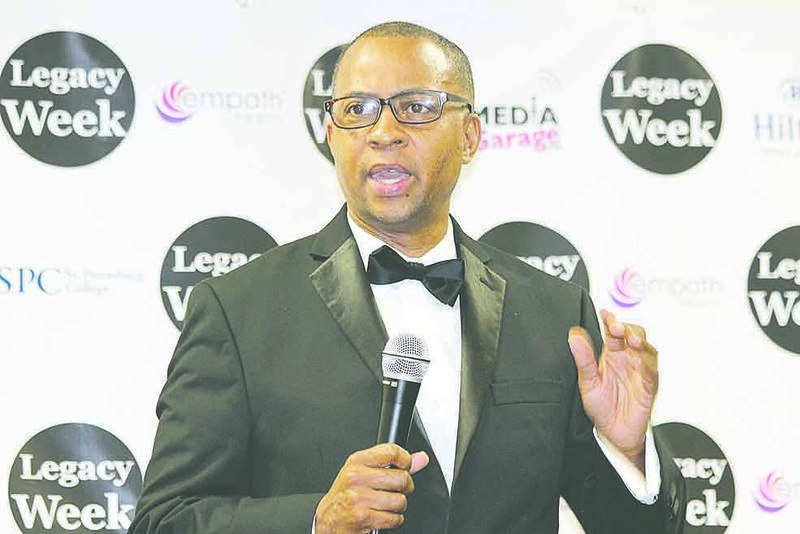 “My life, I knew her as a teacher, I knew her as an enabler, as an administrator; I became her pastors and I knew her as she announced her call to ministry,” said Rev. Thompson. “I want to thank all who considered me for this award. 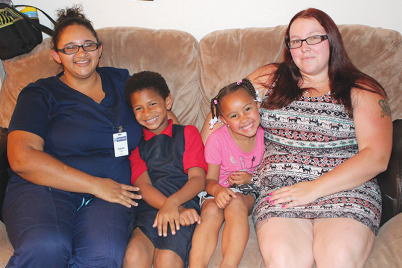 I take no credit; I give God the glory for what he has done,” said Dr. Pennington. The last surprise award went to the emcee for the evening. 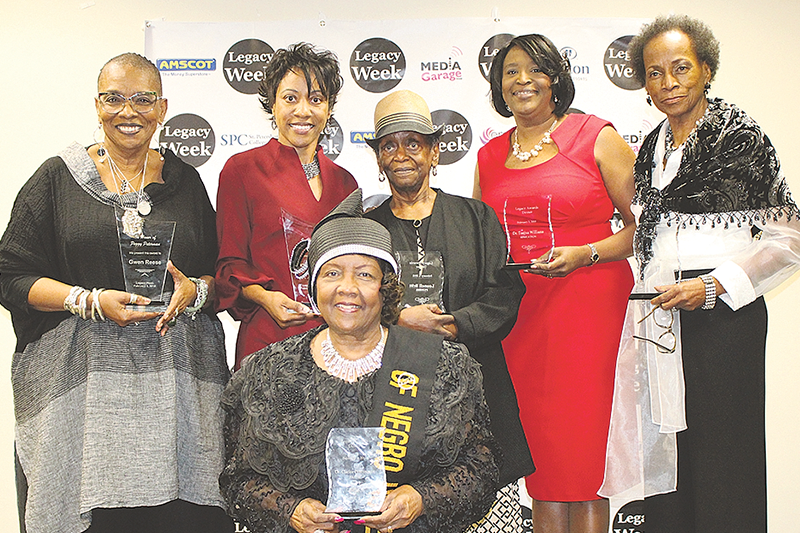 On the Legacy Award committee and married to the president, Davis-Pritchett had no idea she was receiving the Community Champion Award in honor of Dorothye Mickens Davis, who was a longtime educator in the community. For 25 years, Davis-Pritchett taught in public schools and now educates adults on living wills, advanced directives and so much more at as the director of professional relations and community outreach at Empath Health. “What I do is because I love my community. 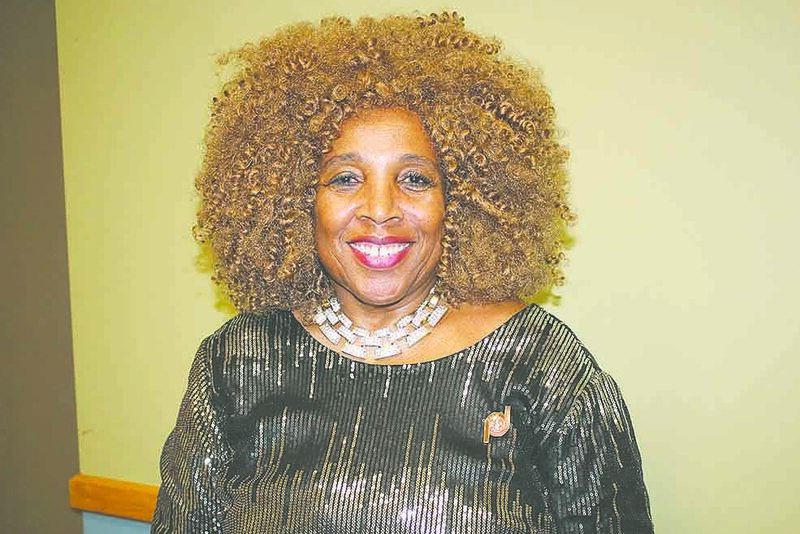 It’s about empowerment, encouragement and education,” she said, noting that her job is to make sure that everyone can have access to quality end-of-life care, home health care and HIV education and case management. 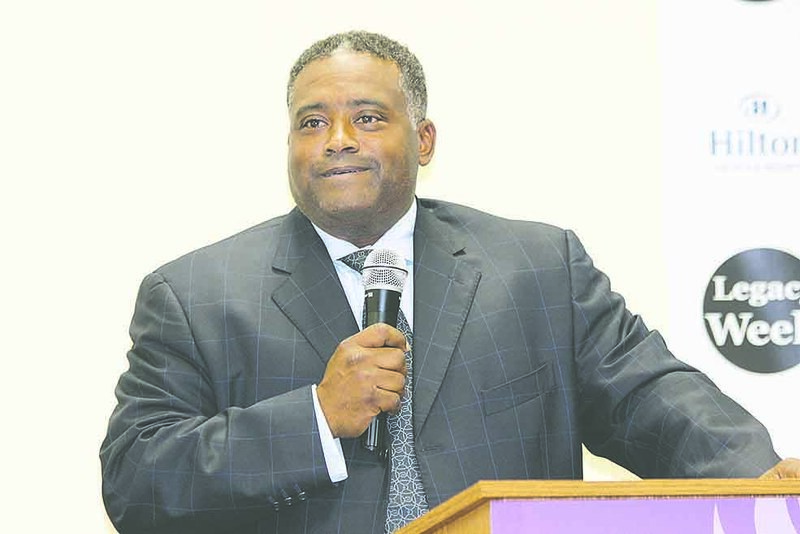 Legacy Week wraps up with a Prayer Breakfast Saturday, Feb. 10 at Maximo Presbyterian Church, 3200 58th Ave. S, starting at 10 a.m. and an invitation-only Black Party Saturday night.